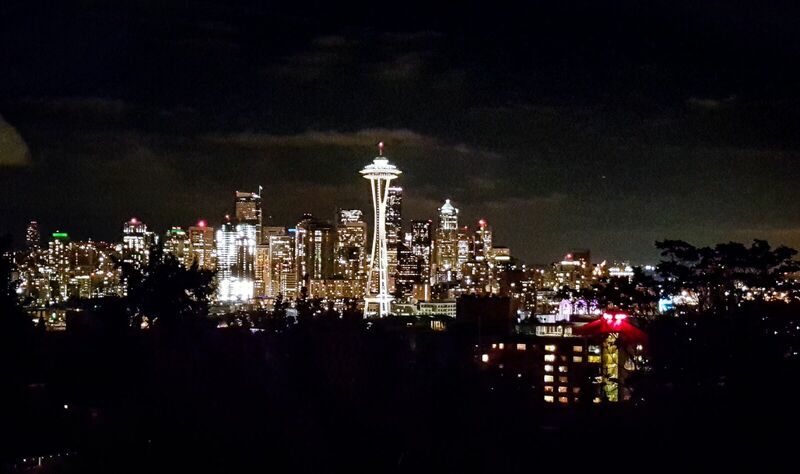 Seattle, oh my beautiful Seattle!! If you love the pitter patter of the lazy drizzle and do not care to carry an umbrella, you are officially a Seattleite. Do you know about the legend that early settlers spread the rumors of Seattle’s depressing weather so they can keep the city from getting over populated and stripping away its beauty? I honestly believe in that conspiracy!! On a side note, according to a research, the smell of rain can help reduce stress and raise the mood up to 60%. Everyone who grumble about this weather making them gloomy, have to find another excuse now. Because life in Seattle is a boon ;) according to me. I get excited like a kid in the candy store every time I see Seattle in movies or read about it in magazines. A sense of pride kicks in that I belong to this beautiful city. And talking about what the city has to offer, it can easily be a book. I have been to my share of cities and their landmarks however nothing amazes me more than Space Needle and Mt. Rainier. Every time I see Space Needle, I see it reaching high into the sky with all its elegance. And the Mt. Rainier sits with all its majesty giving an appearance every once in a while, making us realize how lucky we are to have it in our neighborhood. Life in Seattle is great for people who love spending time in nature and being surrounded by green. I count my blessings to be living in the Pacific Northwest, wrapped up in its lush evergreen beauty. There are many places for you to quench your wanderlust here. Trust me when I say you need a lifetime to explore this gem of a place. Life is Seattle is exciting and adventurous and like everything else we have to make that happen. Here are some great sources if you think Space Needle, Mt. Rainier and Snoqualmie Falls are the only places to go around Seattle. After looking at these, you will never say that again. Ok now, someone please make me the ambassador for Seattle tourism. Beautiful photos! I've never been to Seattle, but it looks like a lovely place. Stop making me dream, Ananya and be jealous of you. This super duper post and gorgeous pictures makes me wanna settle in Seattle. Seattle is one of my favorite places! soon pretty ! I love the photos !